The Revcap Property Walk takes place along the Thames in London on Saturday 8th September. Up to 100 people are signed up to walk, run, or skip 25km, 50km or for the brave, 100km. The event builds on the success of last year’s Property Walk, which raised over £100,000 for The Elifar Foundation and LandAid. The Revcap Property Walk is part of the Thames Path Challenge starting at Putney Bridge and heading upstream along the river. The team hopes to raise over £100,000 once again this year and every penny will again be split between these two amazing charities changing the lives of young people in the UK, Elifar and LandAid. Everyone walking will aim to raise a minimum of £500 each with a hope to reach the team target of £100,000. 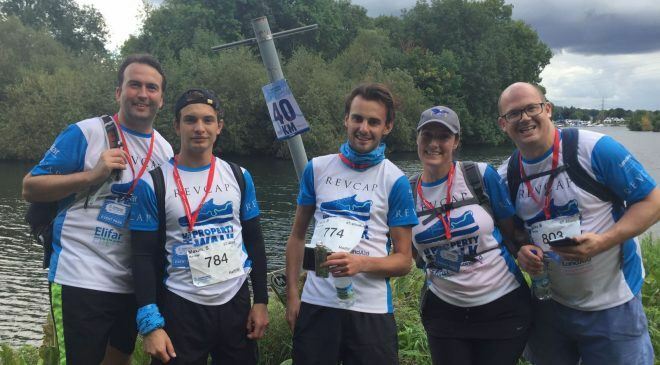 Revcap is co-ordinating and sponsoring the event and covers each walker’s costs for the event, and transport back to London, where they will host an after walk party at Auriol Kensington Rowing Club. They also provide all the walkers with branded shirts. All the walkers are committed to taking the first step in improving the lives of young people in our communities.